Rudy & Theo, at rest. Ha! We'll do 6:35pm instead, since that's when I actually left work, and remembered that I was supposed to take a photo at 5pm! 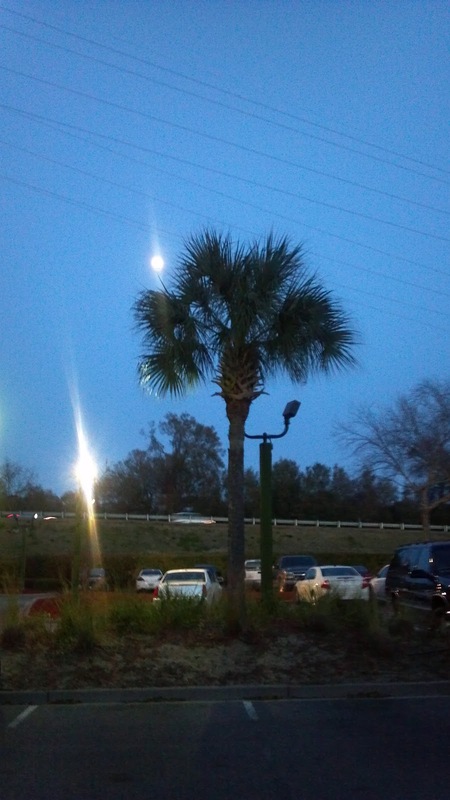 This is in the parking lot at my office, and it reminded us of the SC state flag, except that the moon was almost full, instead of a crescent.